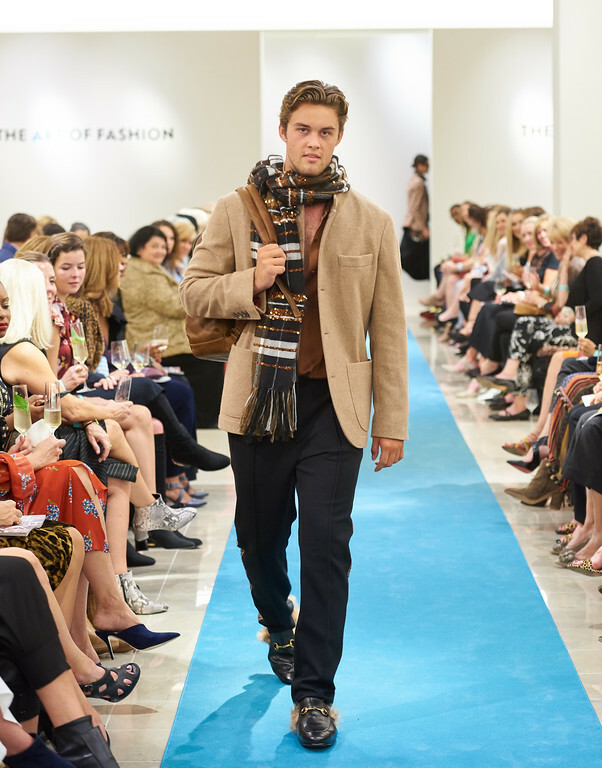 Neiman Marcus of Charlotte’s The Art of Fashion benefit for The Mint Museum featured a runway show of new styles from luxury designers, including these bold fashions for men. To see the looks for women, go to the Fashion section. For photos of all the glamorous guests, go to the Social section. Fashion influencer Scott Newkirk, the buyer and creative director for Tabor, in the courtyard of the unique menswear store. Tabor is arguably Charlotte’s most unique designer menswear’s store. No surprise since it’s the well-dressed brother to sister stores Capitol and Poole Shop. Scott Newkirk, Tabor’s buyer and creative director, says the store’s core clientele are young, old and everything in between. But they do have some traits in common. 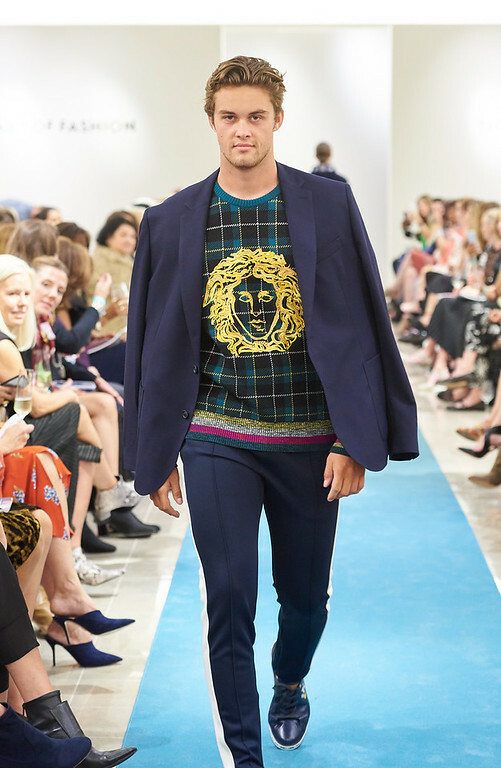 “The Tabor customer has a sense of humor, is willing to experiment a little and be open to what’s happening in the world of menswear,” he said. Scott's buying trips to Paris and New York, where he spent decades as an influencer on the fashion scene, have given him an expert eye for all things elegant and modern. His final words of wisdom: “Shoes are important. Eat well. And get a good haircut." Michele Melville is a stylist with custom and made-to-measure brand J.Hilburn. 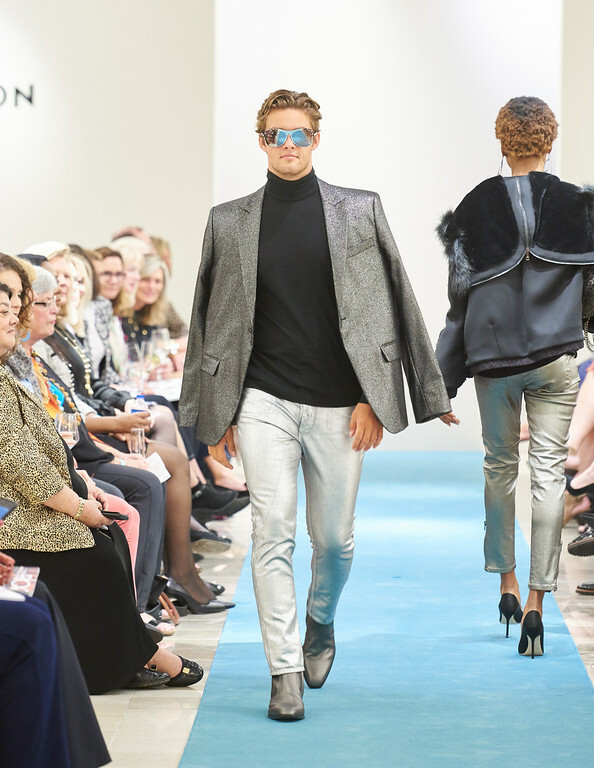 Texas-based menswear company J.Hilburn prides itself on bringing custom, luxury clothing to its customers via a network of stylists across the country. It's a business model that eliminates unnecessary markups. J.Hilburn stylist Michele Melville offers free wardrobe styling consultations, guarantees fit and makes shopping for any of your next social occasions easy and fun. 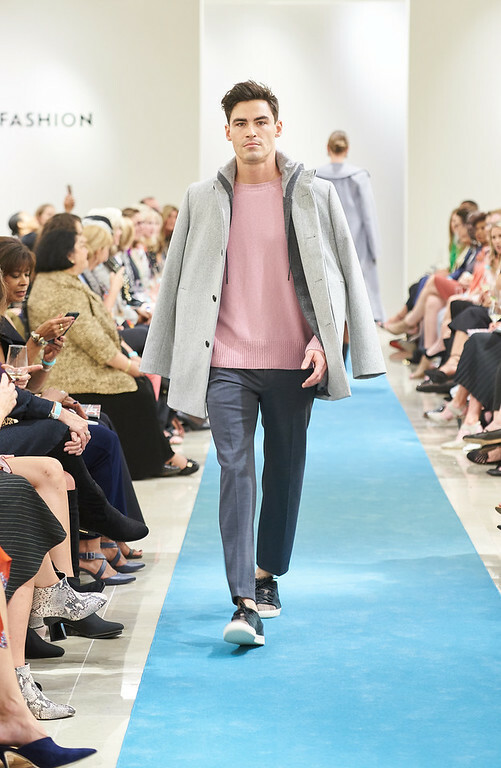 Charlotte area J.Hilburn stylist Michele Melville sat down with The O Report and shared her advice and trendy tips for men 50 and up. You can shop her site at MicheleMelville.JHilburn.com. Contact her by email at Michele.Melville@JHilburn.com or 704-299-1026. 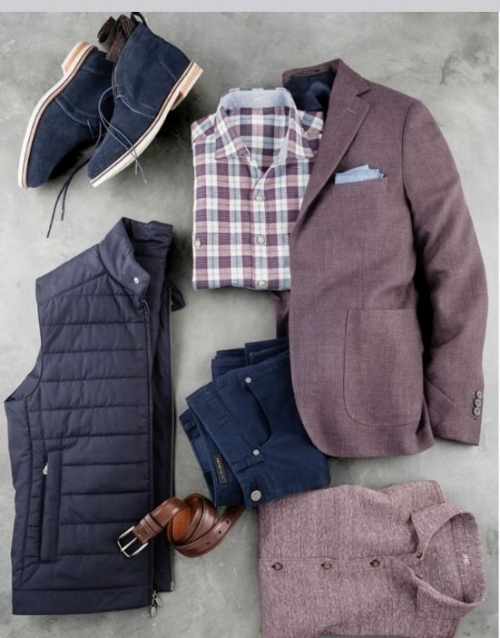 The J.Hilburn pieces in your closet are guaranteed to fit. Wear clothes that fit: "So often I see men wearing clothes that simply don't fit. If it's too big, too small, too boxy - it doesn't work. Ill-fitting clothing will make you look heavier, older, less put- together and less confident." Khaki/off white luxury blend trouser ($125). Eliminate pleats: "There was a time and a place for pleats. However, most body types can handle a flat front pant, trouser and short. It will immediately update your look. And by eliminating extra fabric and bulging around the middle, it creates a sharper, more current and tailored appearance. If you must have a pleat, consider updating to a single pleat." Don't short yourself: "One of my mid-50ish shorter clients was wearing pleated, knee length khaki shorts. We updated them with a made-to-measure, flat front chino short. It immediately modernized and slimmed his appearance by 20 pounds and 10 years!" Italian-made multi-checked jacket in Storm Blue. $650. Classic jacket: "A great tailored sport coat provides so much versatility to any man's wardrobe. It's not too formal, not too casual and when done right, it will become your favorite go-to in your closet. The problem for men over 50 is that many in this age group wear their sport coats and suit jackets extremely full, creating for many a boxy, outdated, uninspiring look. Instead, examine fit, zoom in on your fit preferences and work with a stylist that can help you personalize and tailor your selections to work for your unique body, individual style and your lifestyle. Go bold and consider a plaid. Paired with a crisp shirt, a great trouser, casual pant or even denim, this is a look that can take you from the office to a social evening and essentially anything in between." 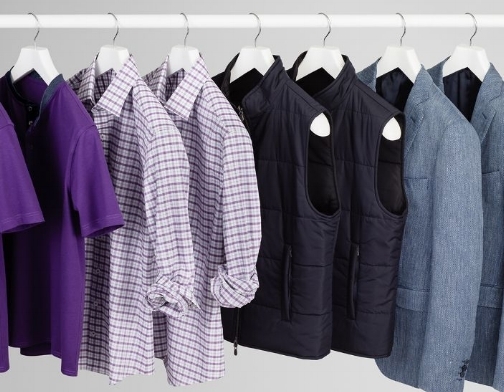 Break it down: "Consider adding a deconstructed jacket style to your wardrobe. It combines the tailoring of a sport coat with the comfort of a sweater." Luxury polos: "I'm in love with our made-to-measure polo shirts. They're made from refined Italian and performance knits. Customization details include two collar options, four placket options, three sleeve options and a variety of other features. Some of my favorite features for 2018 include contrasting fabric and color choices as well as a long sleeve version with a shirt cuff." Taupe textured solid reversible vest ($400). Best vest: "Another on-going trend is the reversible vest. Not only are they highly functional, they are good looking and provide another level of warmth and casual style." 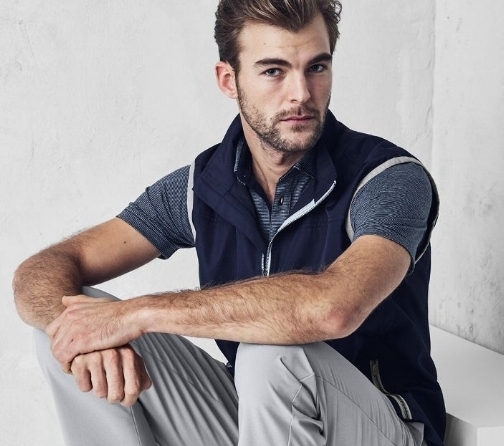 Look good on and off the course in J.Hilburn's innovative new golf line. Fore: "J.Hilburn is revolutionizing the golf apparel industry with the launch of its full golf line. The line's innovative fabrics that are made to your measurements will take you straight from the golf course to the boardroom." Jean rules: "Keeping it simple is best. A dark hued, tailored (not skinny) leg will serve you well. Having the right pair in your wardrobe will provide you with more versatility than you can imagine. The key is finding the right fit for your body type to ensure comfort. They can give you a super casual, cool look - yet can be totally dressed up, too. I enjoy taking one pair of jeans and showing my clients 20 new looks by swapping out different shoes, belts, shirts, sweaters, sport coats, and outerwear. " 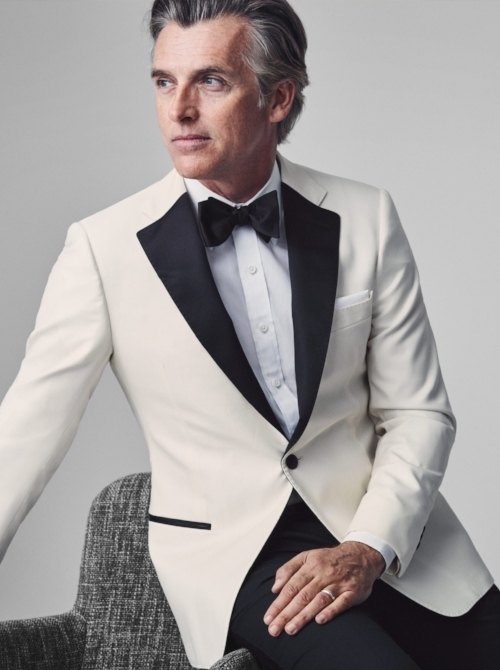 Ivory Revenge tuxedo jacket (starting at $725); Super Black tuxedo trouser ($250); White Poplin shirt ($185); Black Satin self-tied bow tie ($55) and white cotton/linen pocket square ($49). Own it: "If you have a social life that puts you in a tuxedo more than once every year or so, do yourself a favor and have one made for you. No one over 50 should rent a tuxedo."